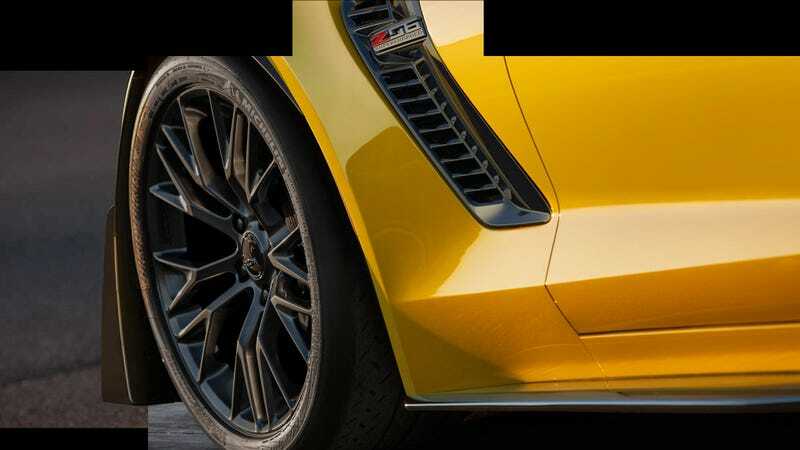 This image put together from three teasers is the best view of the 2015 Corvette Z06 yet. It also confirms what we've sort of knew already: Those 620 horses come from a supercharged LT4 V8. Lovely. I look forward to giving you guys a great review of this beast. I had the C5 Z06 and C6 Z06 and plan on continuing the tradition some day. With those semi-slick Michelins, as much horsepower as a McLaren MP4-12C or a Viper TA and a monstrous 650 pound feet of torque on tap, we can't wait either! No doubt this is going to be GM's most serious track machine yet.